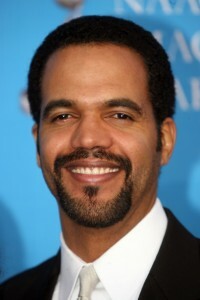 ‘Y&R’s’ Kristoff St. John On His Shocking New Documentary… And Whether or Not Neil Will Make It Down the Aisle! This week has been anything but quiet for ‘Y&R’s’ St. John. Not only has he been prepping his Genoa City alter ego for a possible wedding, he’s been working hard in his real life preparing for the debut of his documentary film, “A Man Called God,” which will be screening this Saturday, February 1, at the San Diego Black Film Festival. The Young and the Restless’ Redaric Williams, Angell Conwell, Mishael Morgan, Cady McClain and General Hospital‘s Jon Lindstrom showed their support for Kristoff St. John’s A Man Called God at the 2014 International Beverly Hills Film Festival on April 23.